Aichryson tortuosum var. 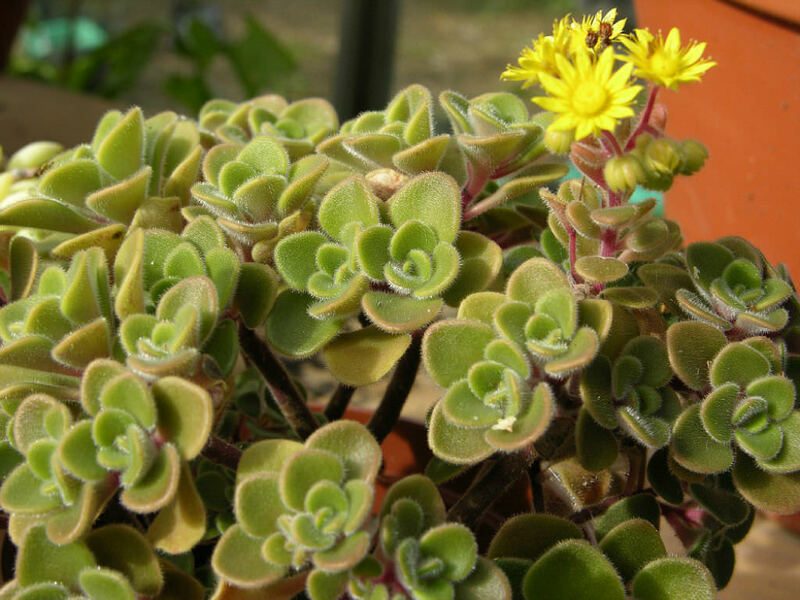 bethencourtianum naturally grows as perennial succulent plant, up to 8 inches (20 cm) tall, with many up to 0.8 inch (2 cm) long, tiny and hairy leaves on short stems. 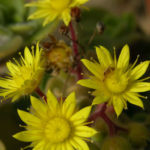 Its flowers are star-shaped, golden yellow, born single or arranged in small groups. 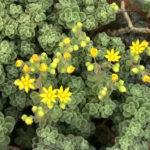 Aichryson grow as understory plants in the endemic laurel and pine forests of the Canary Islands and prefer to grow in slightly shaded moist soil with plenty of humus. They tolerate a cool, frost-free winter kept fairly dry. 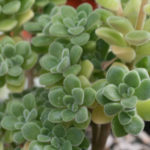 Some species are annuals or biennials, but the shrubby perennials also need to be re-started from cuttings on a regular basis to be at their best. 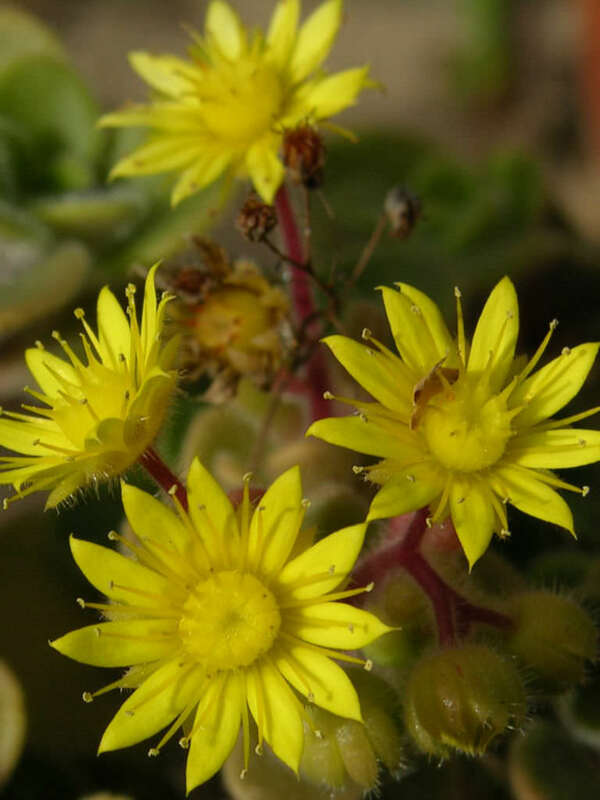 Many species produce volunteer seedlings around themselves after flowering. Aichrysons are very tolerant of mixed conditions and will tolerate considerable shade as well as full sun. 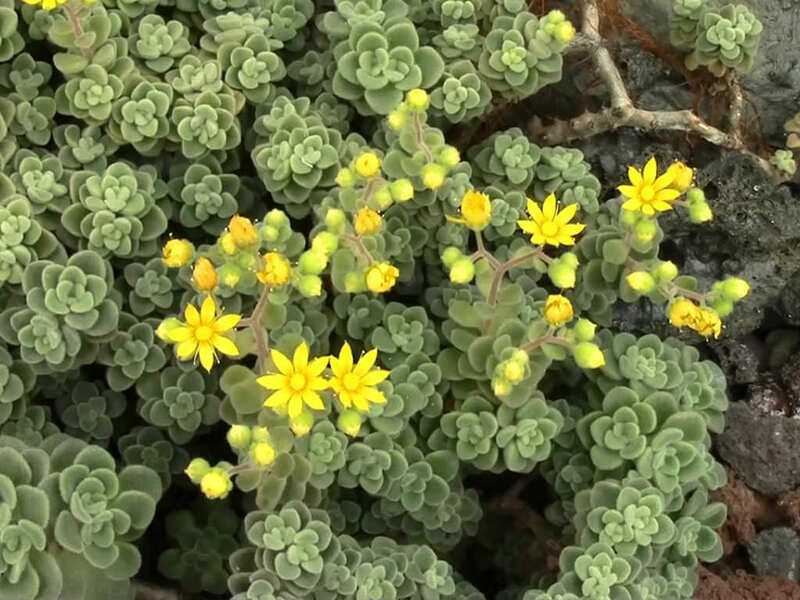 Given the right conditions these plants will provide an incredible show of yellow flowers. Grow these plants hard with very little fertilizer because they can flower them selves to death. Aichrysons have a very structural trunk and make excellent bonsai subjects. In winter they require a rather sunny spot inside at moderate, cool temperatures. If they become too large, plants can be cut back. 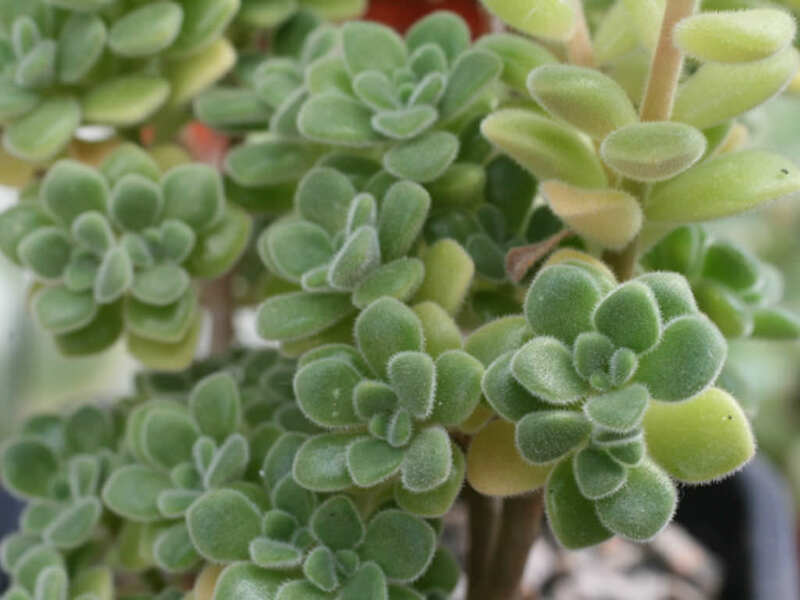 Cuttings will easily root within few days. These ornamental dwarf plants are excellent pot plants and will thrive in any partially shaded spot at cool temperatures, e.g. on a window sill… – See more at: How to Grow and Care for Aichryson.